Why banks are bought or sold involves much more than just the numbers making sense. Indeed, to successfully negotiate a merger transaction, buyers & sellers must bridge the gap between a number of financial, legal, accounting and social challenges. So in advance of this year’s biggest merger and acquisitions (M&A) conference, a few things I feel attendees of “AOBA” should know. 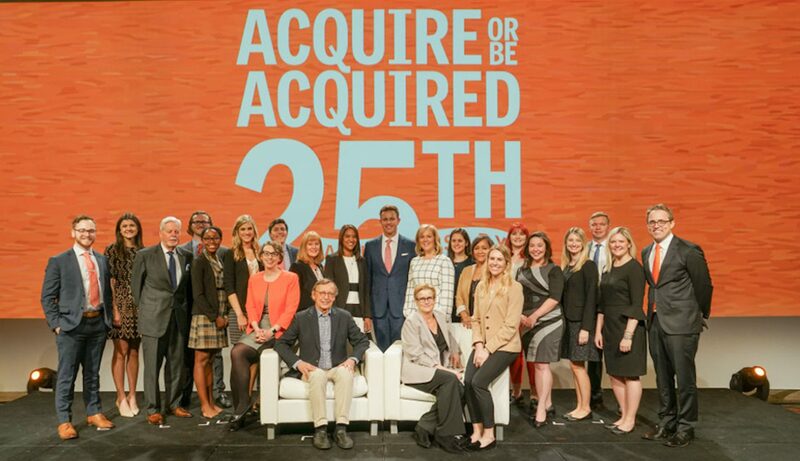 Starting this Sunday at the Arizona Biltmore, Bank Director’s team once again opens the doors to our annual Acquire or Be Acquired Conference — affectionately called “AOBA” (ay-oh-bah). About this time last year, I wrote about a record turnout, one we will exceed in a few days when 925 men and women arrive at this architectural gem. By design, the numbers I share in the image above only reflect key data from the financial institutions attending. In fact, we are prepared to welcome another 60+ professional services firms and product companies to the Biltmore. While I am particularly impressed by the caliber of support provided to the industry by our sponsoring companies, today’s post focuses on a handful of issues impacting the officers and directors joining us from strong and well performing community banks. While big banks typically garner mainstream headlines — Wells Fargo, Citi, JPMorganChase and Bank of America account for a whopping $8.1 Trillion of the $17.3 Trillion assets held by banks in the U.S. — the buying and selling of banks takes place outside their domain. The overwhelming majority of deals today involve community banks, many of whom have their CEOs attending AOBA. So for this hugely influential audience, here are my key points to know and consider before the conference kicks off. M&A remains attractive inasmuch as successful transactions improve operating leverage, earnings, efficiency and scale. Today’s regulatory environment can hold up a deal — so it has become popular to note that banks can make acquisitions depending on how “clean” both the buyer and seller are + how big the resulting bank becomes. As seen in their superior financial metrics (e.g. ROAA and ROAE), larger banks are growing and consistently outperforming smaller banks. Small and mid-sized banks’ importance to the overall economy and select business sectors remains in place; however, their earnings potential is less diverse then big banks, making them more vulnerable to new competitors and shifts in pricing of financial products. Certainly, the buying and selling of banks has been the industry’s “great game” for the last couple of decades. As the conference agenda reflects, we dive deeper into topics like these and look at pre-deal considerations, post-integration challenges and everything in between. So for those not able to join us — but interested in following the conversations — I invite you to follow me on Twitter via @AlDominick, the host company, @BankDirector, and search & follow #AOBA16 to see what is being shared with (and by) our attendees.